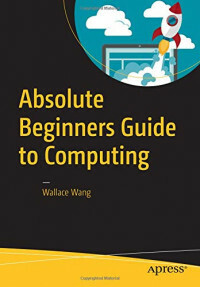 Written by an author who has written multiple computing titles, this book is friendly and approachable, and can teach anyone how to use a computer. With simple steps, easy troubleshooting, and online resources, it's the best place to learn how to make computing a part of your life. Anyone that wants to learn all the latest Windows features. Beginners who want to use their new Windows computer to share pictures or video clips on YouTube or Facebook to those seeking a common sense approach to safe computing.